Lizards are preyed upon by a number of creatures, such as hawks, snakes, dogs, wolves and other lizards. 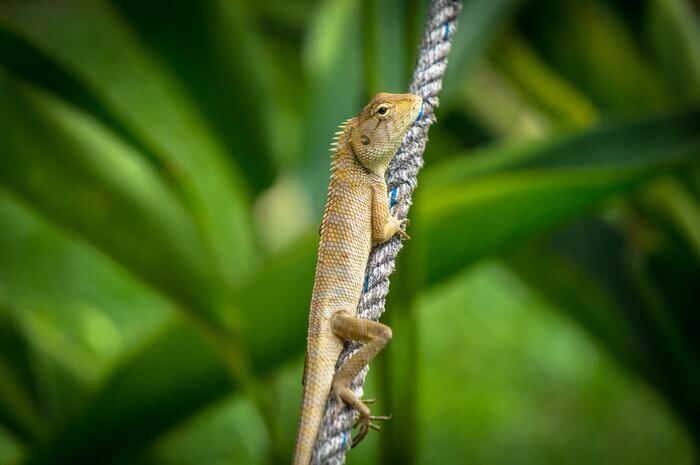 Although there are hundreds of different type of lizard species, they are commonly on the lower end of the food chain. Lizards are snacks for a wide variety of predators, including some spiders. However, lizards are able to counter act these predators by means of speed and camouflage. They are fast creatures, some of which are able to tread on water. Their skin is also able to match the environment and make it difficult for their would be predators to see them. Another unique skill some lizards have is the ability to shoot blood out of their eyes and at their predators.